Relentless rumour, continued uncertainty and subsequent voluminous media coverage in Assam had recently resulted in the elimination of two innocent lives along with severe injuries to few others and also stranding of thousand railway passengers for days in various isolated locations. The rumour of incorporating many parts of Assam including the Dima Hasao district in the greater Nagaland (Nagalim) continued to hunt the people of Assam as the Naga movements start approaching for an outcome. Besides Assam, it may be noted, the proposed Nagalim claims the contiguous Naga concentrated areas of Arunachal Pradesh and Manipur (along with Naga localities in northern Myanmar). On the other hand, uncertainty over the government action remains fully intact as the content of Naga Framework Agreement is yet to be made public. The Union government in New Delhi signed the agreement on 3 August 2015 with the influential Naga armed outfit (Nationalist Socialist Council of Nagaland-IM), when Prime Minister Narendra Modi himself announced the peace deal through the social media. With this background of anxiety and worries, a report was published in a reputed portal indicating that Dima Hasao district in central Assam may be incorporated in Nagalim. The contributor Sangeeta Barooah Pisharoty in her report titled ‘Revealed: RSS Draft Plan for Nagaland Accord’ quoted Jagdamba Mall, an understood Rashrtiya Swayamsevak Sangha (RSS) ideologue based in Nagaland for decades and tried to authenticate it. The trouble-stricken Dima Hasao (formerly North Cachar Hills), which is an autonomous district constituted under the sixth schedule of the Indian constitution, homes to Dimasa tribe with a sizable Naga population. Since Eighties, the district witnessed various ethnic insurgent outfits and most notorious was the Jewel Garlosa led Dima Halam Daogah, which once terrorized the entire hills district. No doubt, content of the report (https://thewire.in/215195/revealed-rss- draft-plan- nagaland-accord/) might have reached to few hundred English readers, but when the same story was reproduced by a section of Guwahati based (read Assamese) newspapers and satellite news channels, it attracted the attention of hundred thousand residents of Assam. Soon the resentments among the Dimasa people about their inclusion in Nagalim surfaced and it had grown abruptly. Various agitating Dimasa groups including the Jadikhe Naiso Hosom, All Dimasa Students Union, Dimasa Mother Association and Dimasa Women Society etc called for a series of protest rallies across the district, where even the local political party representatives also joined. The agitators demanded a clarification from the governments both in New Delhi and Dispur over the matter. One such public protest in front of Maibong railway station on 25 January 2018 turned violent. The police resorted to firings in presence of the district magistrate Dibyajyoti Hazarika as the protesters started damaging the railway properties. Two tribal agitators namely Mithunjay Dibragede and Prabin Hakmaosa, both at their twenties, were killed in police firings, where as ten others received severe injuries. The killings were condemned widely and strikes continued in the district for many days, which resulted in stranding of over one thousand railway passengers from southern Assam and Tripura to Guwahati and vice versa. A number of protest rallies were also organized in the State capital demanding stringent actions against the district authority for resorting to police firings. Following the direction of Assam chief minister Sarbananda Sonowal, also in charge of State home portfolio, three State ministers namely Chandra Mohan Patowary, Keshab Mahanta and Porimal Suklavaidya visited the conflict ragged district to take stock of the situation. They also met the victim families and assured possible government supports at the earliest. Amidst the chaos, Sonowal invited a group of Dimasa civil society representatives and reiterated the government’s stand that not a single inch of Assam land would be ceded for Nagalim. Assuring the delegation of civil society groups in presence of Dima Hasao Autonomous Council chief Debalal Garlosa on 30 January, Sonowal categorically stated that the State&#39;s territorial integrity would not be harmed. Mentioning about his telephonic conversations with the Union home minister Rajnath Singh, the chief minister also declared that no satellite council or special development authority of Nagalim even would be allowed in Assam. Additionally Sonowal informed that a compensation of rupees 5 lakh each were announced for the victims (of police firings) and necessary steps were taken to provide appropriate government jobs to their close relatives. Monetary benefits and free treatments for the injured individuals were also assured. By now the government has constituted a one man committee headed by the State’s additional chief secretary VB Pyarelal to inquire into the circumstances that led to violence and subsequent police firings. The committee report is expected within four weeks. However, public angers against the government in general and the district magistrate in particular continued for weeks. It was also visible in a massive protest rally lately organized at Maibong locality in presence of AASU adviser Samujjal Bhattacharya, ABSU general secretary Pramod Boro and many others. Jagdamba Mall, who is facing a formal police complaint in Assam, later clarified that he personally put some suggestions to settle the six decade long Naga antipathy, but the concerned reporter blew the content ‘out of proportion’. Mall declared that he was not a RSS member. So his suggestions were ‘nothing to do with the RSS or the BJP governments’. India, out of its over one billion population, today houses nearly 200 million smart-phone users. As the internet connections turn fairly cheaper in the populous country, more and more upper along with middleclass citizens start possessing the net connection that finally helping the number of alternate media browsers to grow. Meanwhile, expressing serious concern over the recent unpleasant incidents in Dima Hasao following the unauthenticated media reports, an Assam based scribe’s body appealed to the common people for judiciously responding to any media content. 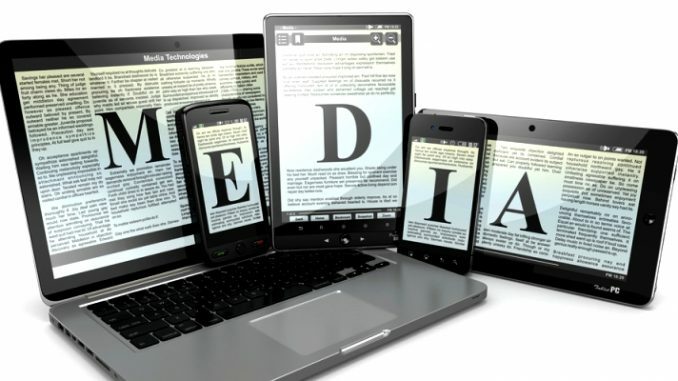 The Journalists’ Forum Assam (JFA), in a statement also demanded a regulatory authority over the alternate media and urged the government to empower the press council (may be renamed as Media Council of India) with the inclusion of electronic and social media. “While the concerned portal should have reported the matter with a right perspective, the vernacular news outlets must have authenticated the facts before publishing the news item,” asserted the JFA statement adding that those newspapers might have assumed the news portal as trustworthy as news agencies and hence found it logical to use the content over a sensitive issue without verifications.